Critical Signal Technologies has been named one of Michigan's 50 Companies to Watch for the year by the Edward Lowe Foundation. 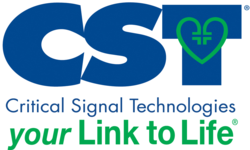 CST, a leading supplier of medical alarms for seniors will receive the award at the foundation's annual Celebrating Small Businesses gala at The Lansing Center in Lansing, Michigan on May 3, 2012. The event is for Michigan to honor the growing businesses that are making an impact in their markets. CST is taking on an integral role in health care reform. The application of CST's personal emergency response system technology provides an avenue for early intervention during a medical or health related crisis. CST's ability to proactively alert health care providers of changes in their patients' status and CST's ability to intervene and assess an emergency, whether real or perceived, helps to drive down health care costs and reduce unnecessary hospital readmissions and costly emergency medical transportation. Because of CST's incredibly scalable and flexible technology infrastructure, CST leads the industry in the development, delivery and support of innovative solutions. CST's wireless medical alert for seniors replaces traditional pull-cords and provides property managers and owners with the ability to more efficiently manage their resources, reduce their liability, and provide their residents with the peace of mind that they can alert emergency assistance from anywhere within their building. Headquartered in Farmington Hills, Michigan, CST is a leading provider of Personal Emergency Response Systems, Medication Management Systems, and TeleHealth solutions. Founded in 2006, privately-held CST operates fully redundant 24/7 Care Centers in Michigan and Massachusetts and serves individuals and institutional clients throughout the United States and Puerto Rico.